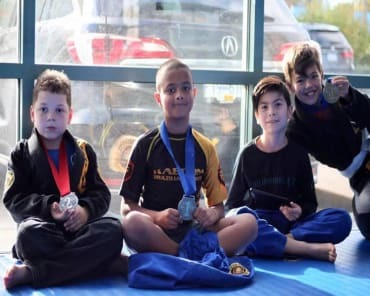 At Kaboom BJJ, we are proud to offer high-energy Kids Martial Arts classes that can set students all across Surrey up for success. We use the skills of Brazilian Jiu-Jitsu to keep our students active and help them learn vital self-defense skills. But we also work hard to offer important character traits like discipline, respect, and confidence. Our Kids Martial Arts classes include instruction for ages 4-7 AND 7-12. Students 13+ are invited to join our Adult Martial Arts program. What Can You Expect From Our Kids Martial Arts Classes? Our team is committed to meeting the needs of every child who walks through our doors - and we do that by getting to know each student on an individual basis. Whether your child is a complete beginner or an experienced athlete, we're here to help them stay challenged and train with complete confidence. Our Kids Martial Arts instruction includes ground-based training with a focus on developing speed, strength, and agility. We offer traditional sport-style coaching in a safe, supportive atmosphere. We work hard to make sure your child learns the ins and outs of Brazilian Jiu-Jitsu. And when they are ready, we have plenty of opportunities for competition and high-level training. But we also care deeply about your child's success off the mat. 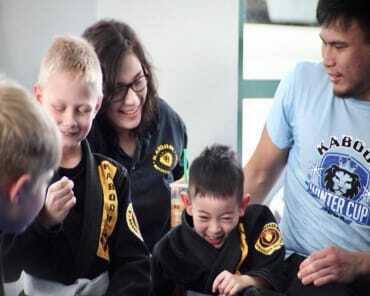 At Kaboom BJJ, our staff is dedicated to maintaining a community where students and families can come together and build lifelong skills. We want your child to walk away from our training ready for whatever life throws their way. 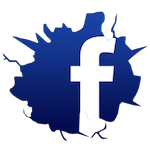 Join Us Today For The Best Kids Martial Arts Classes In Surrey! If you're looking for a great way to help your child develop physical, mental, and emotional strength, look no further. 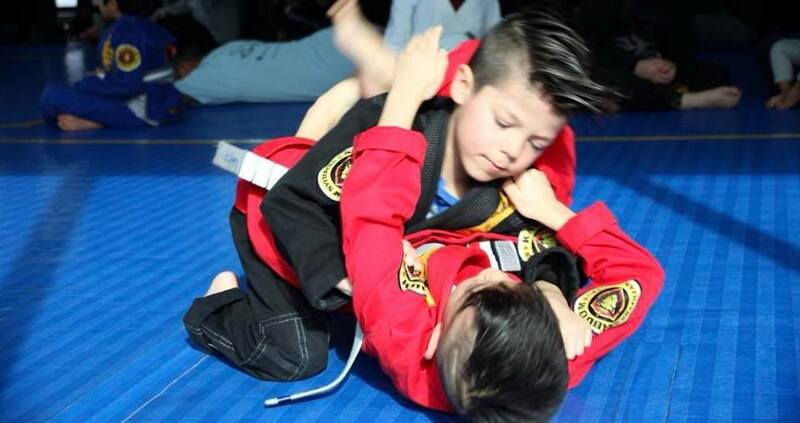 At Kaboom BJJ, our Kids Martial Arts classes are perfect for all experience levels. Come see us in Surrey today or simply fill out the short form on your screen to learn more!